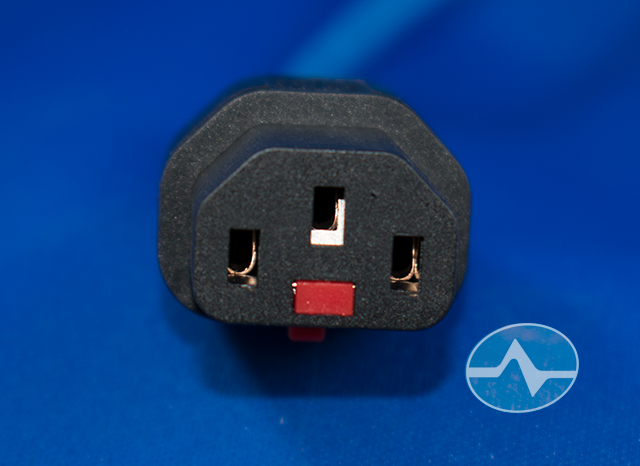 If you’ve ever knocked the power cord out of your computer and thought, “there has to be a better way…” good news. There is. 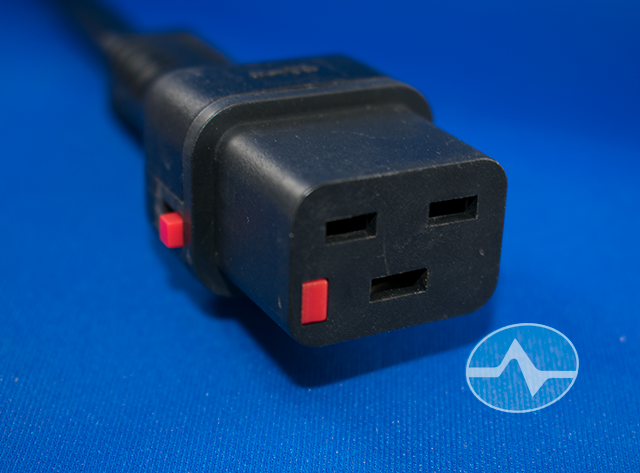 When it comes to power cords, there seem to be two schools of thought. 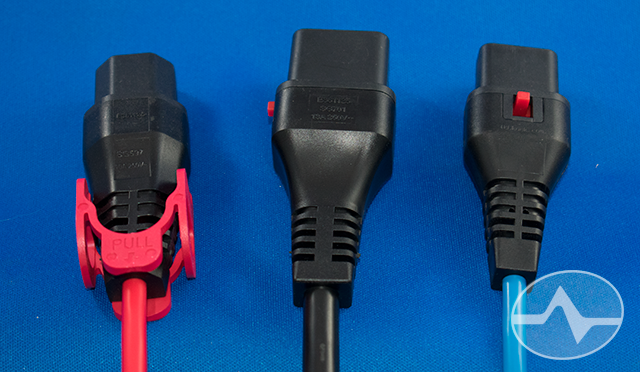 If you have a laptop or mobile device, you want a cord that comes out easily. If someone walks by and bumps the cord, you WANT the cord to come out so the laptop doesn’t go flying. But if you have a server, the last thing you want is for that power cord to come out and affect all your users at the same time. 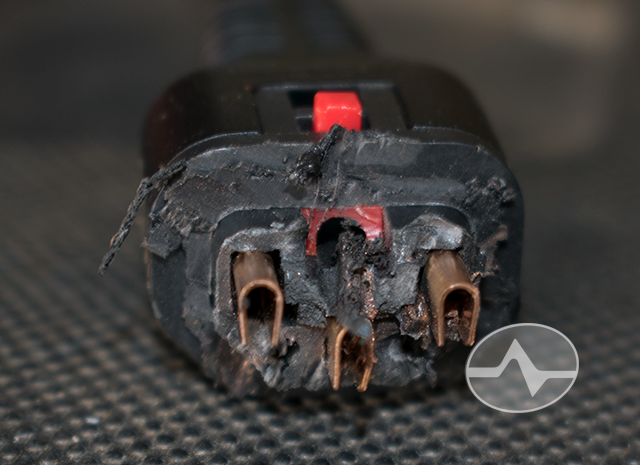 That’s why you want to look at Webber Electronics’ line of IEC-Lock power cords. I had the opportunity to put them to the test myself. In addition to the common “C13” style (the one in pretty much any computer or server,) there are several other styles, and you can even get extensions and ends for other countries. Here above you see a less common “C19” style. 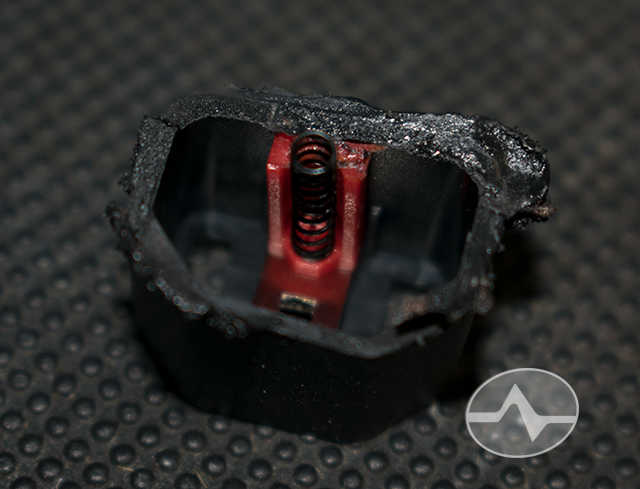 The key here is a locking pin that engages around the ground lug when you put the cord in. Once it’s in there, no amount of tugging will pull it out. I actually got to the point where I thought I would break the power supply and the cord wasn’t moving. 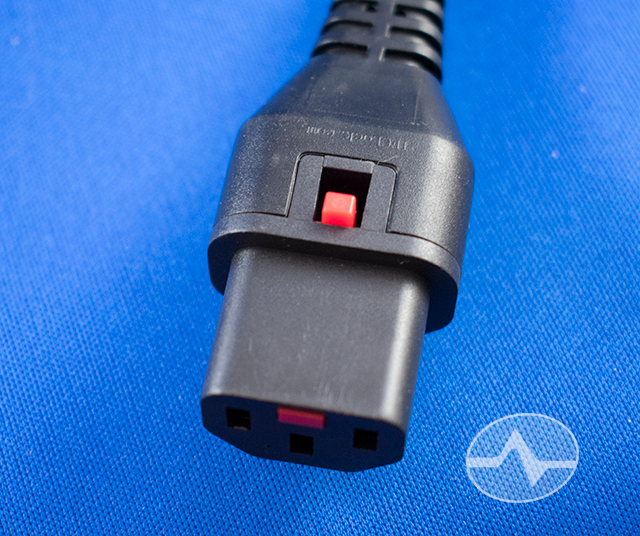 However, pull back on the red tab at the top, and it comes out just like any other power cord, nice and easy. For server racks where it’s hard to get at a little lever, there’s also a pull-to-release version that is just as secure. I really wanted to try to get at the locking mechanism to see how it all worked, but (the good news is) all the parts are securely molded in and there really isn’t a way to get at them. Not like anyone would really try, but it should give you some comfort to know that it’s pretty much impossible. When I tried to Dremel one apart, I just got this big old mess. 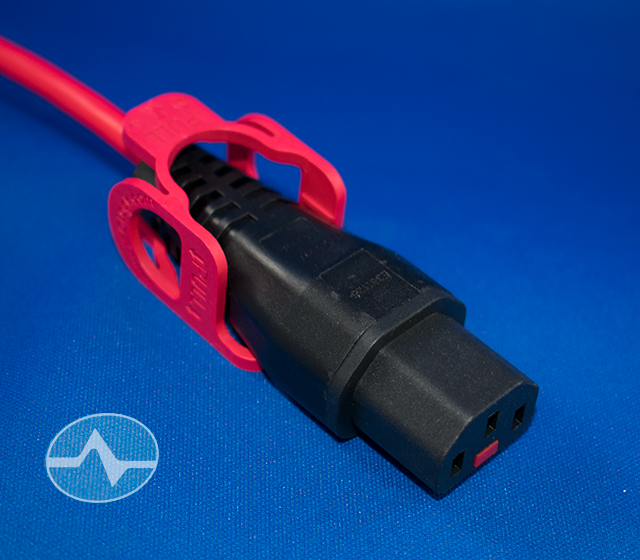 The Webber IEC-Lock cords are available in a number of styles and even come in bare connectors that can be attached to any power cord easily. I highly recommend them as an easy upgrade for any server closet. We use them in our servers at Solid Signal’s HQ, and they work great. Which is better for you… Cat 5e or Cat 6 cable?